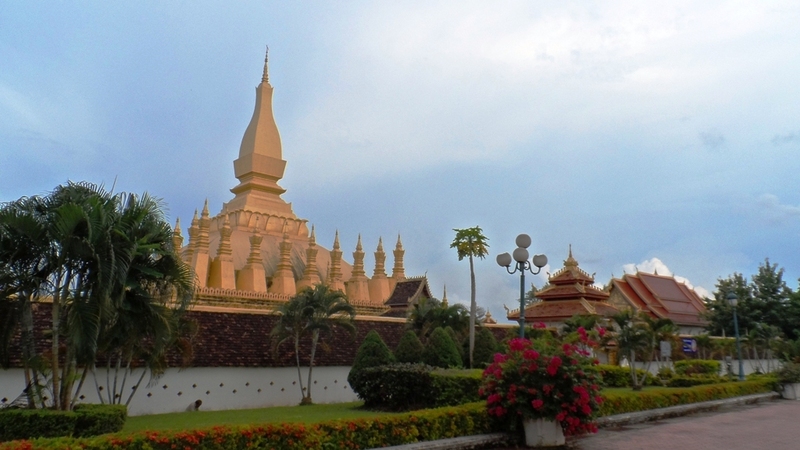 Visiting Laos was not originally part of my Indochina backpacking trip . 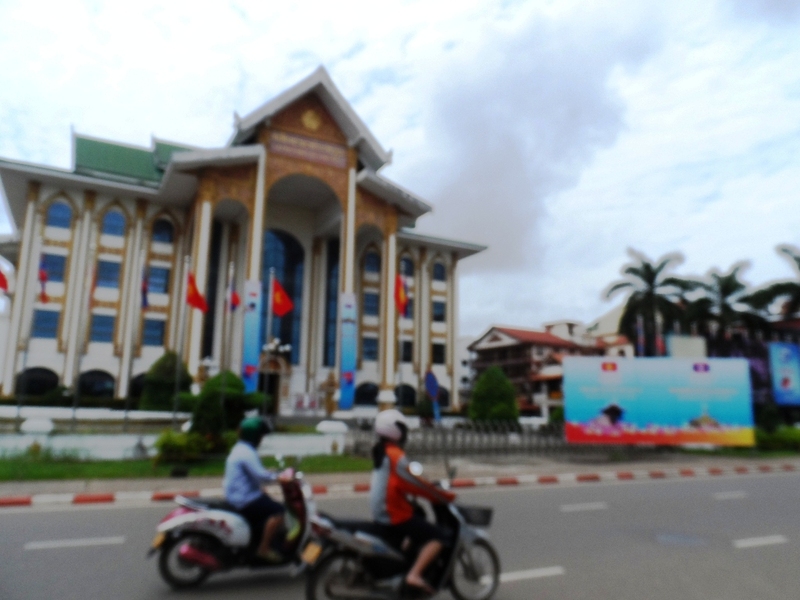 I have not known much about it before, as compared to the touristy Vietnam, and the Heritage Sites in Cambodia. But I came across http://mylovelylife88.wordpress.com ‘s visit to the small town of Vang Vieng in Central Laos, and my thoughts immediately got caught by the town’s Karst limestone hills standing tall by the soft flowing river. Laos was once under strict communist rule, and it was only during the mid 90’s that Laos has fully opened its doors to tourism. Thus decided to allot a few days to see Laos, and it was a good thing that getting there is just an overnight train away from Bangkok. 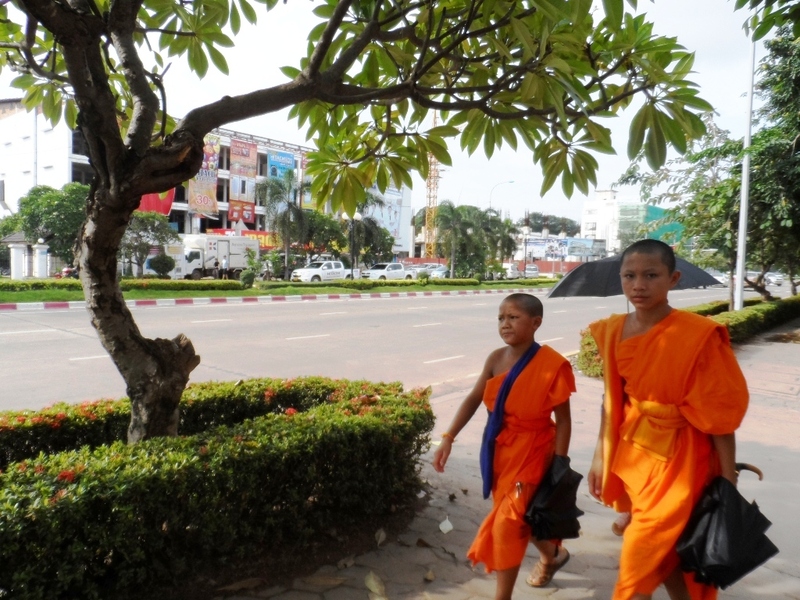 Below is my detailed travel from Bangkok, Thailand to Vientiane, capital of Laos. 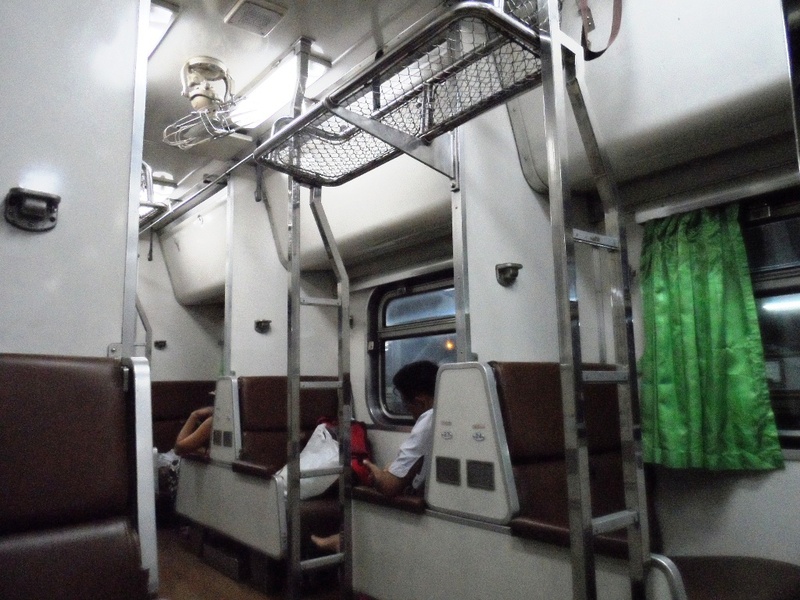 From Hualamphong Train Station , Bangkok , I booked a second class , aircon sleeper train for 688 baht ( around 22 USD ) to Nong Khai ( Thai border point to Laos ) . 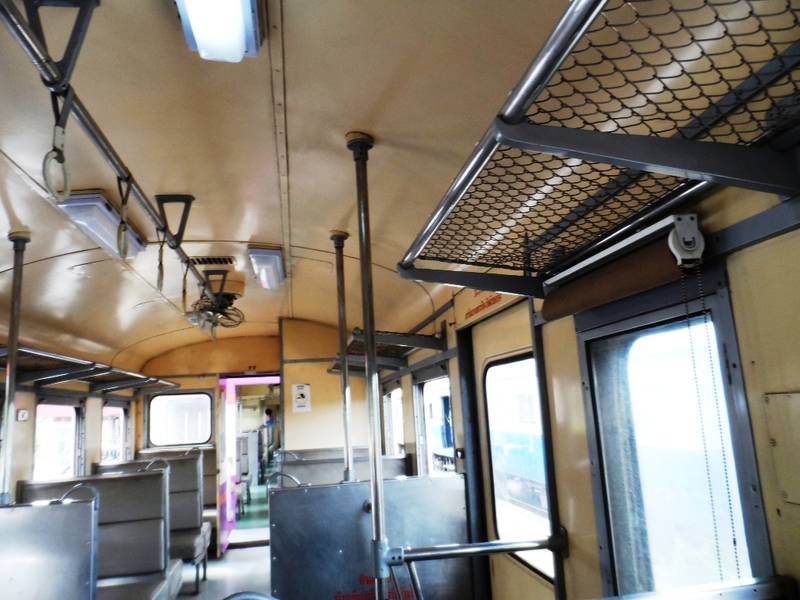 Cheaper non-aircon train seats (No bed) are also available for around half the price. 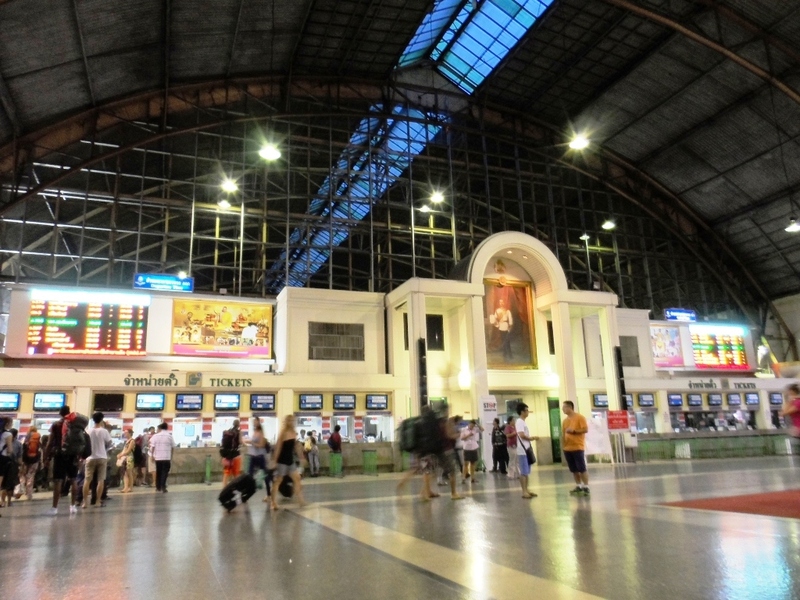 Hualamphong Station is pretty organized and the officers converse in English. 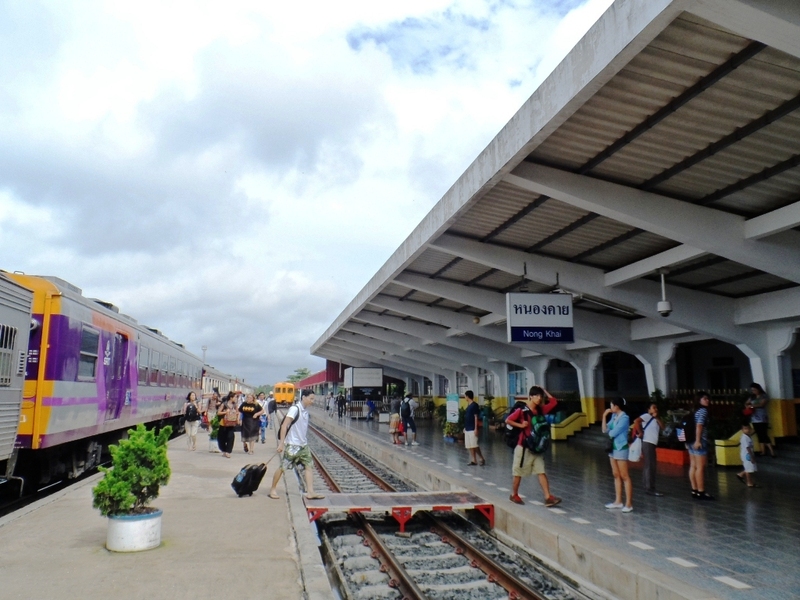 Train left Bangkok around 8pm, and arrived at Nongkhai train station around 9 am the next day. 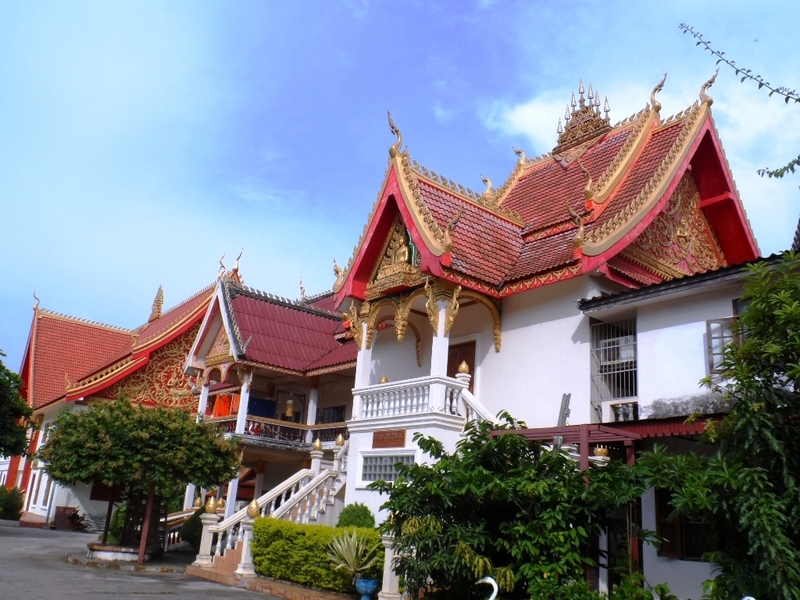 The train made very few quick stops on towns, but Nongkhai is the last stop, so it would be impossible to miss this. These seats turn into beds with curtain partition. It was surprisingly comfortable, i had a good uninterrupted sleep . 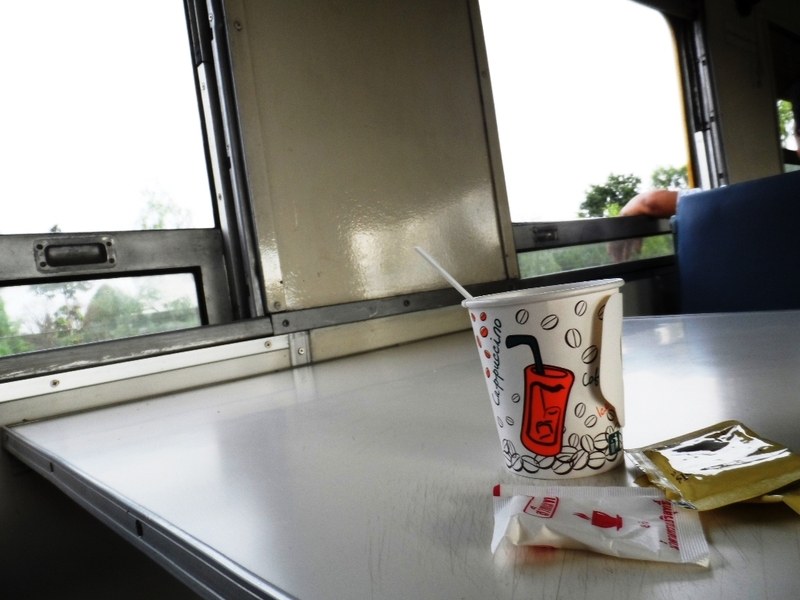 morning coffee at the train. around 6:30 am. Nong Khai Train Station, Thailand . Nongkhai station also has an immigration office of Thailand. After clearing with Thai immigration, I transferred to another train headed to Thanaleng Station,Laos for 20 baht. 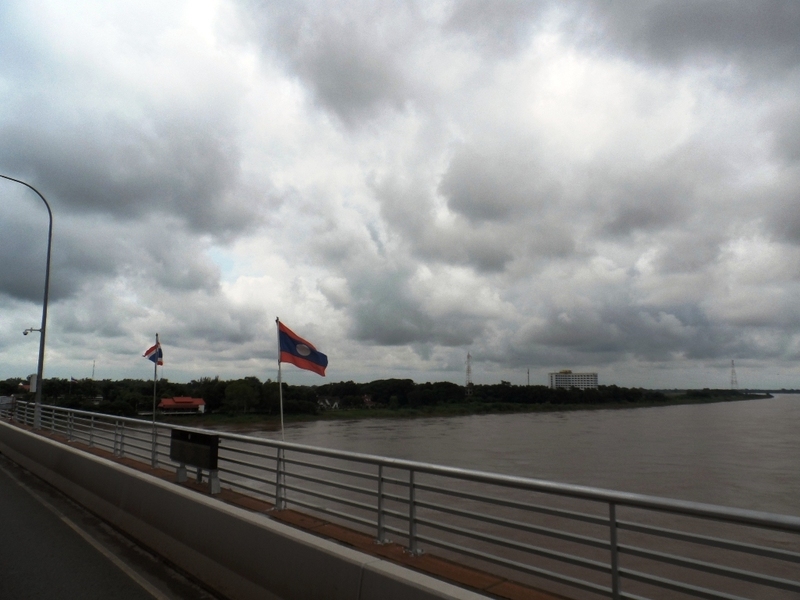 It was a 20 minute train travel that crosses Mekong River.Another option to cross borders is by bus, since train schedules to Laos are very limited as of this year(2013). 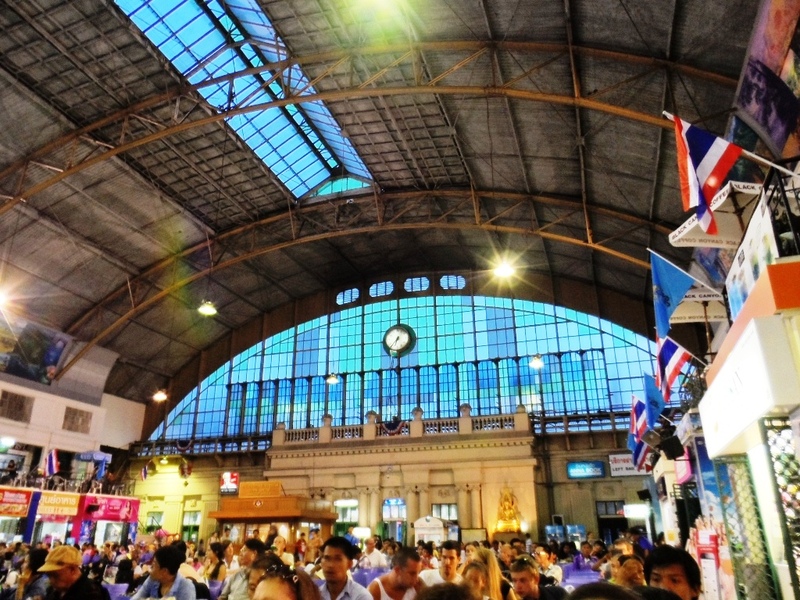 Upon arriving at Thanaleng Station, you will immediately see the Lao immigration counters. The transfer train from Nong Khai , Thailand, to Thanaleng , Laos. only 20 Baht . around 20 minutes ride. 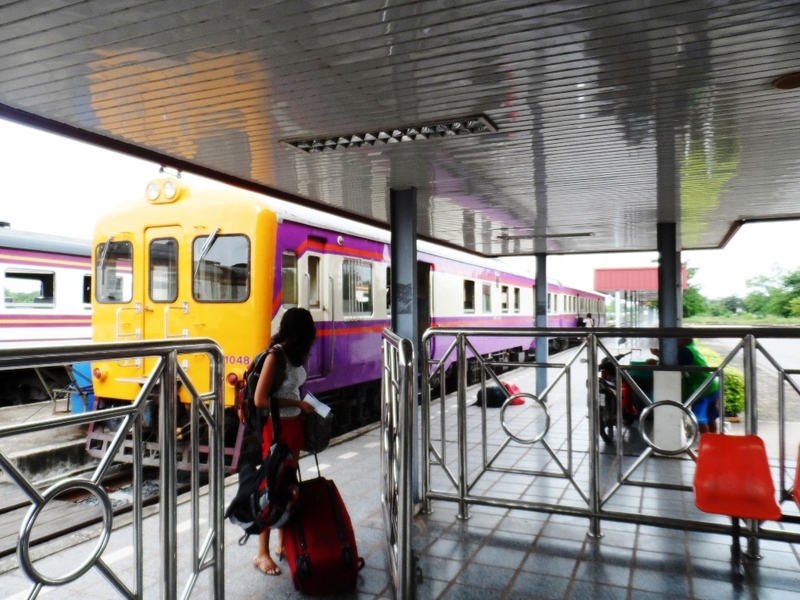 Thanaleng Station is located 15 kms to Vientiane capital of Laos , around 30 minutes travel time. There are a number taxis/vans to the capital that can be shared with fellow travellers. We got ours for 400 baht , at 100 baht per person, since there were 4 of us who shared. I shared with 3 Thai nationals. 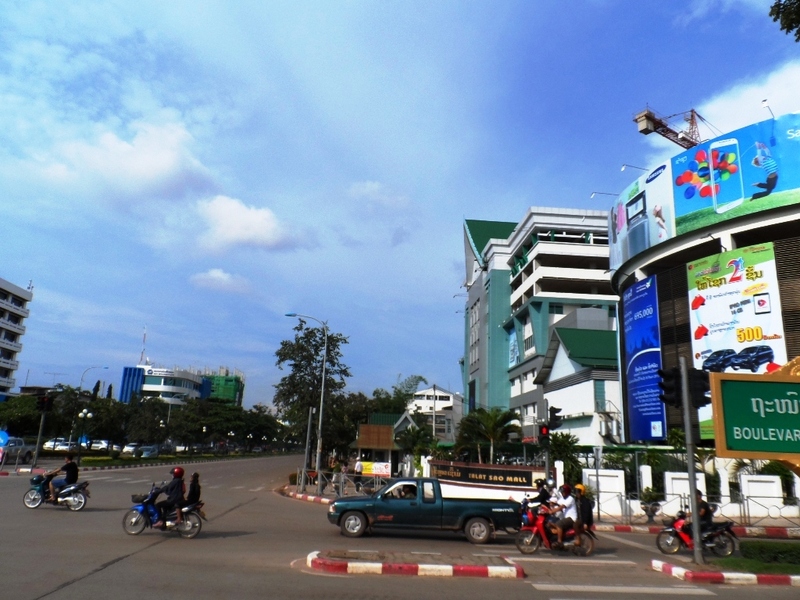 View of downtown Vientiane . Quite a Laid back city. Relax . not much traffic . I just walked myself around the city center . It was sunday afternoon that time . 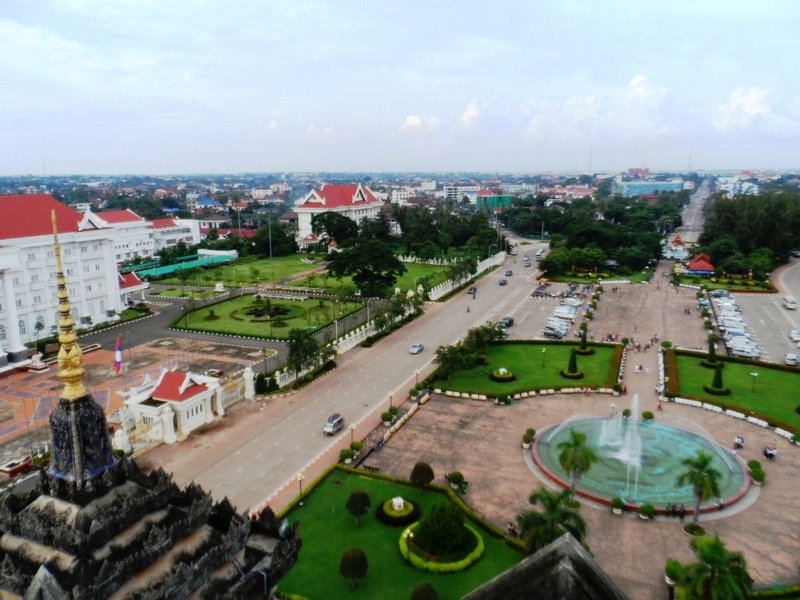 Vientiane City Center , view from the top of the Patuxay monument . Pra That Luang Shrine. Laos’ sacred religious symbol. said to contain some relics of Buddha. 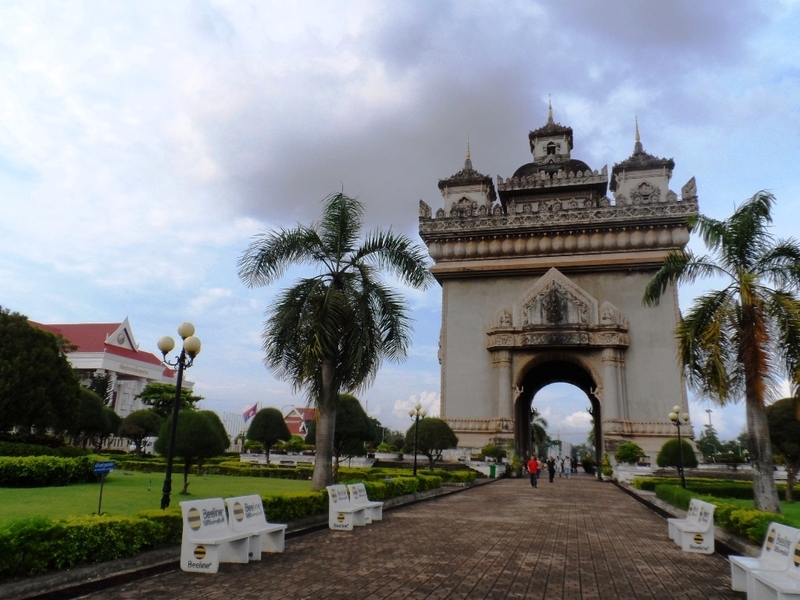 Patuxay Monument, symbol of Laos’ independence from France. 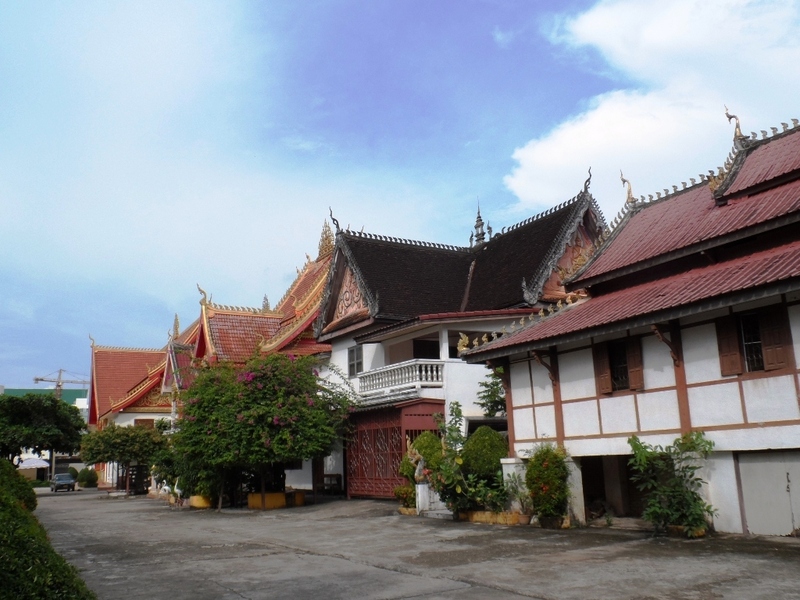 And there I was in the capital city of Vientiane, Laos ; laid back, less noisy , not much traffic, ,no big shopping malls. The country embodies a relaxed atmosphere and a perfect view of sunset by the Mekong.